If you missed the webinar I did for NVIDIA GTC express, then the recorded session is now available plus my presentation. History of how you can virtualized graphics from Citrix/NVIDIA. Listen to the presentation in MP4 format here. Citrix Receiver for HTML5 enables users to access desktops and applications provided by XenDesktop, XenApp, and AppController through HTML5-compatible Web browsers without needing to install Citrix clients on their devices. Receiver for HTML5 integrates with Access Gateway and StoreFront to enable users to access desktops and applications directly through their Web browsers. Resources provided by XenDesktop, XenApp, and AppController are aggregated in a StoreFront store and made available through a Receiver for Web site. 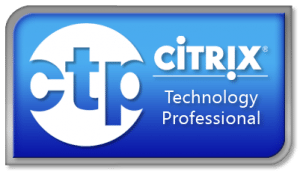 Users without Citrix clients installed on their devices log on to the site using HTML5-compatible Web browsers and their desktops and applications are accessed directly in browser tabs. Receiver for HTML5 enables users who cannot install Citrix Receiver on their devices to access their desktops and applications through their Web browsers. Users without Citrix clients installed on their devices log on to Receiver for Web sites using HTML5-compatible Web browsers and access their resources directly in browser tabs. Users must connect to Receiver for Web sites through Access Gateway to access desktops provided by XenDesktop, Web and SaaS applications provided by AppController, and applications provided by most supported versions of XenApp. For more information, see System Requirements for Receiver for HTML5 1.0. By setting a XenApp policy, you can enable local access through Receiver for HTML5 to applications provided by XenApp 6.5 with Feature Pack 1 without routing connections through Access Gateway. For more information, see Installing and Configuring Receiver for HTML5. To access their applications using Receiver for HTML5, users navigate to a Receiver for Web site using a HTML5-compatible browser running on a supported operating system. By default, when a user accesses a Receiver for Web site from a computer running Windows or Mac OS X, the site attempts to determine whether Citrix Receiver is installed on the user’s device. If Citrix Receiver cannot be detected, the default configuration enables users logging on to the site with a supported browser to access their desktops and applications through Receiver for HTML5. When users running Chrome OS log on to a Receiver for Web site, Receiver for HTML5 is always used to provide access to their desktops and applications. When a user accesses a desktop or application through Receiver for HTML5, the resource starts in a new browser tab or window, according to the user’s browser settings. A floating toolbar containing controls for Receiver for HTML5 is displayed in the tab or window. The clipboard button enables users to copy and paste data between the local clipboard on the device and the resource running in the browser. Users can send the CTRL+ALT+DELETE key combination to their desktops and applications using the lock button. To use Receiver for HTML5, users require devices running the following Web browsers and operating systems. Users must not install Citrix Receiver or the Online Plug-in. Receiver for HTML5 supports access to desktops and applications provided by XenDesktop, XenApp, and AppController through Citrix StoreFront 1.2. Stores must be accessed through Receiver for Web sites. Receiver for HTML5 does not support direct access to StoreFront stores, either by connecting to the store or by using the XenApp Services URL. For users on the local network, Receiver for HTML5 supports access to applications provided by Citrix XenApp 6.5, with Feature Pack 1, for Microsoft Windows Server 2008 R2. Citrix Access Gateway 10 is required to enable user access through Receiver for HTML5 to desktops and applications provided by the following product versions. It cant be more easy to configure with this guide.. so go get your netscaler access gateway 10 and configure it with VDI-in-a-box. 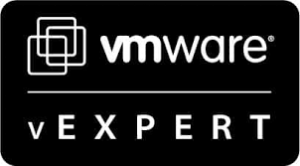 This document provides instructions to configuring remote access to VDI-in-a-Box virtual desktops. The latest NetScaler versions (build 69.4 or later) now include an Access Gateway wizard to allow for quick remote access setup. Configuring the VDI-in-a-Box will consist of adding HDX gateway information and adding a Grid IP address. 1. Log into the VDI-in-a-Box web console as an administrator. 2. Go to the Admin > Advanced Properties menu. 3. Scroll down to the Grid section. 4. Enter an IP address to use in the Grid IP address. 5. Log into the VDI-in-a-Box web console as an administrator. 6. Go to the Admin > Advanced Properties menu. 7. Scroll down to the Gateways section. 8. Enter the FQDN and port of the Access Gateway in the External HDX Gateway field. 9. Enter the NetScaler MIP or SNIP to be used by VDI-in-a-Box in the Internal HDX Gateway field. Import to support hypervisor if using the NetScaler VPX (virtual appliance). Configure NetScaler IP Address (NSIP) via the Console and restart. Log into the NetScaler web console with default credentials: nsroot/nsroot. Provide a Host Name and configure the type of IP address to use for communication with the VDI-in-a-Box servers and desktops. 14. Complete the Setup Wizard using default values. 15. Click the Manage License link to upload a NetScaler Platform License. 17. Save the configuration when prompted and restart the NetScaler. Log back into the NetScaler web console. Select Access Gateway feature and then Create/Monitor Access Gateway to open the Access Gateway 10 Home page. Click the Get Start button to open the Access Gateway Setup page. 21. Fill out the Access Gateway Setting section. The IP address is typically in a perimeter network or a public IP address that users connect to. Optionally, enable https redirection so the gateway will accept (and redirect) http requests to https. 22. Fill out the LDAP Authentication section. This is required when configuring the wizard, but the authentication policy can be disabled later. • IP Address: Active Directory domain controller. • Port: Usually 389 or 636. • Base DN: Provide the Distinguished Name for the users in AD, such as OU=Users,OU=VDI,DC=domain,DC=com. • Admin Base DN: Provide the Distinguished Name for a domain admin, such as CN=Administrator,CN=Users,DC=domain,DC=com. • Logon Name: This should be SAMAccountName. • Password: Provide the domain admin’s password. 23. Select one of the options from the Certificate section. • Install Certificate: Select this option to upload the server certificate and private key that has already been generated (valid or self-signed). Certificates can be generated using the SSL feature of the NetScaler or any other certificate utility, such as OpenSSL or Java KeyTool. • Use Test Certificate: Select this option if a self-signed test certificate is needed. Provide a name and FQDN for the certificate. 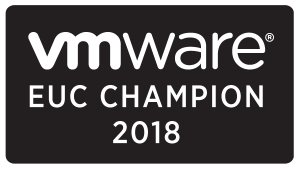 Important: Upon completion of this wizard the test certificate and root certificate must be exported from the NetScaler and installed on client devices. This is found in Configuration > SSL > Manage Certificates / Keys / CSRs section. 24. Check the box to show DNS and type the IP address of the DNS server to be used. For production environments this should be an external-facing DNS server that will be used to redirect http to https requests based on the FQDN, if enabled in the Access Gateway Settings section. 25. Select the Web Interface option in the CloudGateway/Web Interface section. The WI and STA fields must use https instead of http. Note: VDI-in-a-Box 5.1 does not support CloudGateway. • Web Interface Address: Provide the URL for the VDI-in-a-Box Grid IP Address, such as https://vdiGridIP. • Single Sign-on Domain: Provide the Active Directory domain. This will be used for SSO with PNAgent used by the Citrix Receiver. • Secure Ticket Authority: Provide the STA URL using the VDI-in-a-Box Grid IP, such as https://vdiGridIP/dt/sta. • Leave both Single sign-on domain and ICA Proxy boxes enabled. 26. Click Done. This will create the Access Gateway virtual server using the settings and polices defined in this setup page. 27. Return to the NetScaler web console and click Save to ensure the running configuration is saved to disk in the event the NetScaler needs a restart. A Citrix Receiver session policy needs to be configured on the Access Gateway that will help mobile devices connect to the VDI-in-a-Box grid. This will allow all supported mobile devices (iOS, Android, PlayBook, etc) to connect to VDI-in-a-Box desktops through the Access Gateway. • Type the AD domain into the Single Sign-On Domain field. • No additional authentication policy needs to be created. Citrix Receiver for Android delivers enterprise computing as a service so you can access your enterprise applications from the Citrix XenApp and XenDesktop environments no matter where you are. Send only keyboard input, screen gestures and updates, keeping corporate data secure. Please note that the preferred method to receive Citrix Receiver for Android is via the Android Marketusing an Android device. This will allow for automatic updates when new versions are available. The download below is for users who have a device that cannot access the Android Market. Please note that if the Receiver for Android is installed from this download, automatic updates will not occur and new versions will need to be manually downloaded and installed. Support for CloudGateway 1.x and 2.0. Use this unified service broker to aggregate, control, and deliver Windows, Web and SaaS applications to any device. CloudGateway gives users an intuitive single point of access and self-service to all of their business applications on any device. Encryption using Advance Encryption Standard (AES), which supersedes the DES standard. Ability for Access Gateway to redirect Receiver automatically to a different Access Gateway (302 status code redirection). Simplified logon for users, with an option to use email addresses. Receiver for Android is available for Korean operating systems. Support for Citrix ShareFile (tablets only) for secure document sharing and synchronization. SMS PASSCODE and one-time-password authentication. Support for Embedded WebView and VPN. This feature allows access to SaaS and Intranet Web Applications (internal to Enterprise) through CloudGateway using StoreFront. Citrix Receiver for Mac provides users with self-service access to resources published on XenApp or XenDesktop servers. Receiver combines ease of deployment and use, and offers quick, secure access to hosted applications, desktops, and data. Receiver also provides on-demand access to Windows, Web, and Software as a Service (SaaS) applications. You can use it for Web access or configure it for use with Citrix CloudGateway. Simplified use for first-time and returning users. Users can set up a Receiver account by entering an email address or a server URL. Receiver determines the Access Gateway or Storefront server, or AppController virtual appliance associated with the email address and then prompts the user to log on and proceed with the configuration. ShareFile integration. When used with Citrix ShareFile Enterprise, Receiver enables users to share and send documents from the Receiver window. Documents are stored in the cloud and synchronized with Receiver across all devices. Template to create a site-specific download site. For administrators who need more control, Citrix provides a template you can use to create a download site for Receiver. HDX RealTime Webcam Video Compression. HDX RealTime provides a webcam video compression option to improve bandwidth efficiency and latency tolerance during video conferencing. Dynamic Client Drive Mapping. Dynamic client drive mapping enables users to interact with storage devices connected to the user device during a XenDesktop or XenApp session automatically, without the need to map those devices in advance. Support for Mac OS X 10.8 (Mountain Lion). You can install Receiver for Mac 11.6 on the latest Mac operating system. The Receiver for Mac 11.6 installation package is signed with a Developer ID certificate for simplified installation with Gatekeeper.